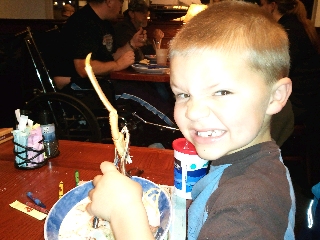 Our family feasted at the Red Lobster! 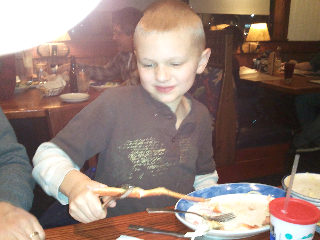 We enjoyed looking at the lobsters while we waited and we enjoyed eating them too! 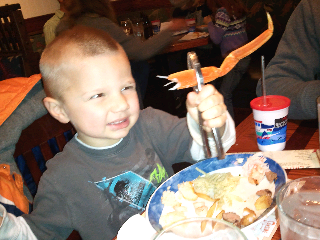 It was entertaining watching the boys use the crab claw crackers. Before the end of our meal, we had a women at a nearby table come over. She told us that she was impressed by the boys' behavior and appreciated sitting next to them. What a way to make a mom and dad proud.